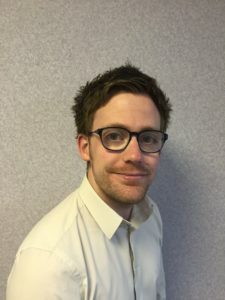 Matt Kennedy, policy and public affairs manager at CIH Cymru, takes a look at the evidence provided to the Public Accounts Committee as part of their inquiry into regulation and oversight of housing associations in Wales. Towards the end of last year, the National Assembly for Wales Public Accounts Committee announced it would undertake an inquiry into the regulatory oversight of housing associations in Wales. As the committee goes further into its evidence sessions there are a few clear themes emanating from various stakeholders providing information. Set out in the inquiry’s terms of reference, the committee is seeking to get a sense of the effectiveness and quality of regulatory arrangements and their ability to effectively mitigate risk. In addition to gaining an understanding of how the co-regulatory approach is working in practice. Lastly, the committee is also seeking views on senior staff remuneration in the housing association sector in Wales. The committee, at time of writing, has heard from CIH, WLGA, Community Housing Cymru, TPAS Cymru and Welsh Tenants. From the respective tenant bodies a picture emerged highlighting good practice but also variation in the ways in which tenants had become involved in governance arrangements locally. Evidence from the representatives reflect that the entire regime must move beyond the narrative of “tenants at the heart of regulation” to reflect this meaningfully in practice. What’s been said so far? Gavin Smart, director of policy and practice for CIH, highlighted that good regulation doesn’t reach an end-point. Governance, in that sense, is the on-going transformation of the board itself, its relationship with the organisation and how it goes about a range of tasks. The board must look at issues from managing risk to innovating and delivering better services, whilst continuing to question if the board and organisation as a whole are fit for purpose. Many of those providing evidence welcomed the renewed direction of travel with the most recent update to the regulatory regime placing a greater focus on decision making, leadership and financial viability. Others welcomed the introduction of a new regulatory judgements matrix to provide greater clarity of an organisations performance. One of the themes dominating questions during Community Housing Cymru’s session was “diversification”. Assembly Members raised some concerns about whether organisations are moving away from their core values. Stuart Ropke sought to ease any concerns, highlighting the positive impact of diversification on driving housing associations to deliver a wider range of services (such as providing care, or support with employment) within communities. He also noted that this diversification in itself was an enabler to drive up the supply of affordable housing through continued re-investment. The overall summation of the evidence provided to date could be that we’re in a good place in terms of regulation, but there’s much we should continue to work to improve. The committee will hear from individual housing associations, the regulatory board for Wales and Welsh Government as the evidence sessions continue. Whilst some of the committees conclusions may well reflect some of the most recent revisions to the regulatory regime, there will undoubtedly be learning which will influence regulatory development on that never-ending journey – which can only be a good thing.